Diplomatic contentions between Turkey and the Netherlands threaten to seriously endanger the agreement on migrant policies Turkey signed with the European Union. The Turkish EU Affairs Minister says Ankara should rethink its deal with the EU signed 12 months ago which has helped to drastically reduce the migrant inflows into the continent. When dangerous sea journeys from Turkey should still be prevented, “the issue of transit from the land must be reconsidered,” Omer Celik told the state-backed Anadolu news agency. 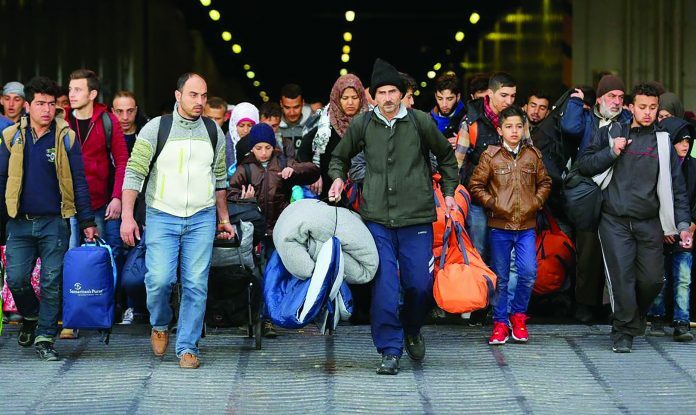 Celik repeated the official position that in exchange for accepting the return of some asylum seekers to its territory from Europe, Turkey’s citizens should be entitled to visa-free travel in Europe, as well as billions worth of other types of assistance. The Dutch government recently denied a landing permit to Cavusoglu, who was due to deliver a speech — in support of April’s referendum to expand presidential powers in Turkey — to expats living in the country, who number about 400,000. Later, another Turkish minister was prevented from not only giving a speech but also entering the Turkish consulate in Rotterdam. Celik spoke ahead of a cabinet meeting in Ankara, after which President Recep Tayyip Erdogan vowed to impose “whatever diplomatic sanctions we can” on the Netherlands, which has more direct investment into Turkey than any other economy, and 900,000 of whose citizens visited the country last year. While unveiling a string of new diplomatic restrictions, Deputy Prime Minister Numan Kurtulmus also backed Celik’s words about the possible reconsideration of the migration deal. In response to the crisis, Dutch Prime Minister Mark Rutte insists that the country has a right to deny Turkish politicians opportunities to stage mass rallies on their territory, due to both, security concerns, and disagreements with the Erdogan’s plans to expand his influence through the upcoming referendum. “Our beloved nation should know that we will retaliate against this unacceptable treatment of Turkish ministers bearing diplomatic immunities,” the prime minister stated, adding that the harshest possible response is soon to follow. He also urged emigre Turks living in the Netherlands, Germany, and elsewhere in Europe not to remain silent, but to “act with common sense,” saying the best response to the mistreatment of Turkish officials and “these fascist practices” is to take part in Turkey’s April constitutional referendum, which would extend Recep Tayip Erdogan’s presidential powers if approved. It will help Turkey “to better understand our true friends and enemies, and further strengthen our unity and our co-existence as a nation,” the prime minister concluded.